Part 2 of 3 in a series about how hospital leaders can prepare for the impact of Kentucky Medicaid Waiver 1115 (4 minute read). Joseph, a member of your community and a local farm worker, comes into your healthcare network with a medical emergency. He has no proof of insurance or Medicaid. Although he has been working, unfortunately, the state has not been able to verify that work at or before the time of care. He is declared ineligible. Your hospital has to deliver the bad news. Joseph is frustrated and tries to show your registrar proof of employment, but it doesn’t matter. And there’s no future financial relief available, at least for this episode of care, for Joseph or you because the retro period no longer exists. People who aren’t working and don’t know about the changes. People who are in and out of work, making them eligible for one visit and ineligible on the next. People who are homeless and exempt from everything but the work requirement. As noted in the first post, some of the provisions from the approved waiver request go-live April 1st. There are dozens of new variables that can and will occur. What’s your pivot strategy? Are you ready to adjust how you assist your patients while also preserving your bottom line? Here are 5 milestones to consider as part of the foundation for your pivot strategy. 1. We have assessed our current technology, processes, and resources to identify and better understand newly created gaps. While all the provisions approved in the waiver request have an impact, elimination of the 90-day retro period in particular makes visibility to financial assistance programs even more critical. Real-time AND holistic visibility to available programs (not just Medicaid, but also commercial insurance, charity, and other relevant programs) matters more now than ever. Look for blind spots in your technology, workflows, and team knowledge. 2. We have analyzed historical data to better understand a theoretical financial impact based on the new rules. This is only an example and there are other variables to consider. But this is a reasonable place to start considering your impact. This illustration sheds a bright light on what’s at stake. In this example, the monthly cash @ RISK is $1.167M. 3. Our leadership team has a clear understanding of the provisions and the projected impact to the patient experience, key financial metrics, staff member stakeholders and the overall community image. As you can appreciate, changes like these have an impact on multiple areas of your operation. And the potential impact of this change should have the full attention of everyone on the executive team, starting with the CEO. Whoever serves as the primary stakeholder for managing the impact of the waiver provisions must treat this like a project with sound project management principles in mind. The PM can collaborate to create a project plan with project objectives, KPIs, milestones and owners. It’s imperative to connect with other areas of the organization, both business and clinical, to discuss the impact and share feedback. The more communication and collaboration, the better the likelihood of the right outcome. 4. An internal training program and education campaign has been created for all relevant groups and partners. 5. A community outreach education campaign has been created. You no doubt already have communication channels in play within your community. Make a point to, at the very least, integrate messaging about the new requirements for patients to qualify for financial assistance. If possible, look for new ways to create a grass roots campaign through partnerships with community organizations in low-income housing areas. Of course, be sure to keep your message legally compliant and strictly educational in nature, even if your branding is not part of the picture. If the word is getting out, everyone wins. We understand you already have a day job and this whole waiver thing just complicates stuff. But the provisions of the waiver are happening regardless. Hopefully, you now have some fresh ideas and/or affirmation of things already in flight for managing your way to success with your pivot strategy. Real-time holistic visibility to qualifying status for financial assistance will be ever more critical in light of the impact of the 1115 waiver provisions. Stay tuned for the next post, the third and final in our series, highlighting the story of one health system using real-time, holistic visibility to increase net revenue and decrease bad debt in serving patients. 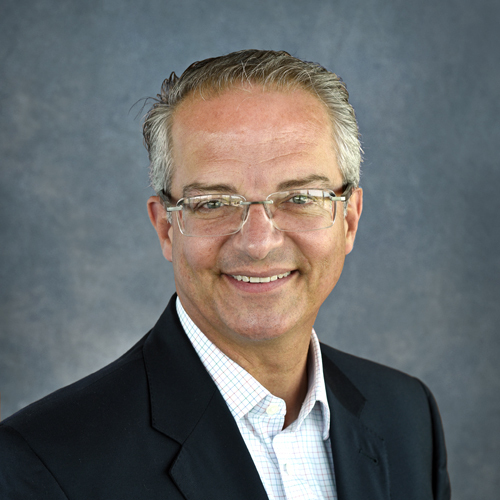 Randy Shafer is Division President for MedAssist, a company healthcare leaders rely on to help simplify the financial experience for patients and members of their hospital teams. He has more than 30 years experience in healthcare, specifically in eligibility services. Newer PostDoes A Medicaid 1115 Waiver Put Cash At Risk? Older PostKentucky Medicaid Waiver 1115 goes live on April 1st. Are you ready?